Last fall Demco brought together a group of library leaders in Madison, WI for a day and a half summit exploring What’s Next for libraries. This year, we visited places and explored ideas that could shape the future of the library — particularly spaces that were not libraries. In some cases, these places sparked ideas for developing community partnerships. In other situations, there were elements of each space or program that had relevance to what the library could become. Over the next several months, I plan to share What’s Next observations and reactions to foster deeper insights into new ways of thinking. In addition, we’ll reflect on the implications and applications for the future of the library. 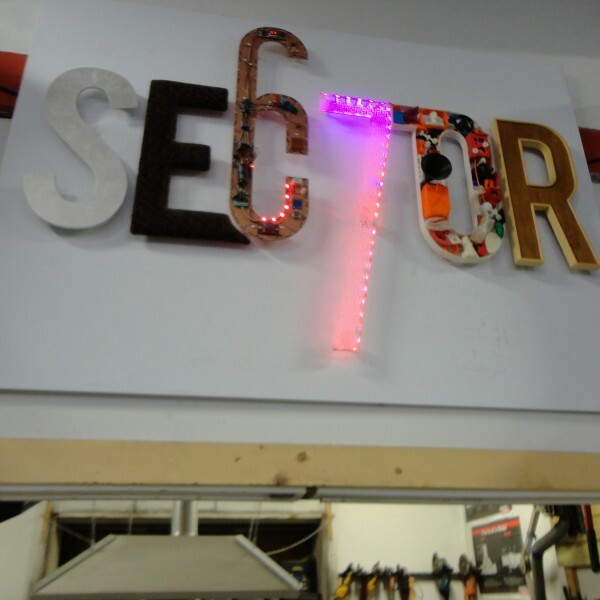 Sector67 is a member-based nonprofit on the east side of Madison that got its start when Chris Meyer founded it in 2010. It is a space that has steadily attracted attention in the Madison area because it can be many things to many people. Over time, it has expanded as its membership grew and member needs evolved. It acts as a community meeting center, an art studio and a co-working space. It’s about teaching and learning for a wide range of ages and is equipped to act as a prototyping lab, business incubator and so much more. As it has developed, different community leaders have recognized the power of a space like this in stimulating economic development in a variety of ways including the promotion of job creation and innovation. 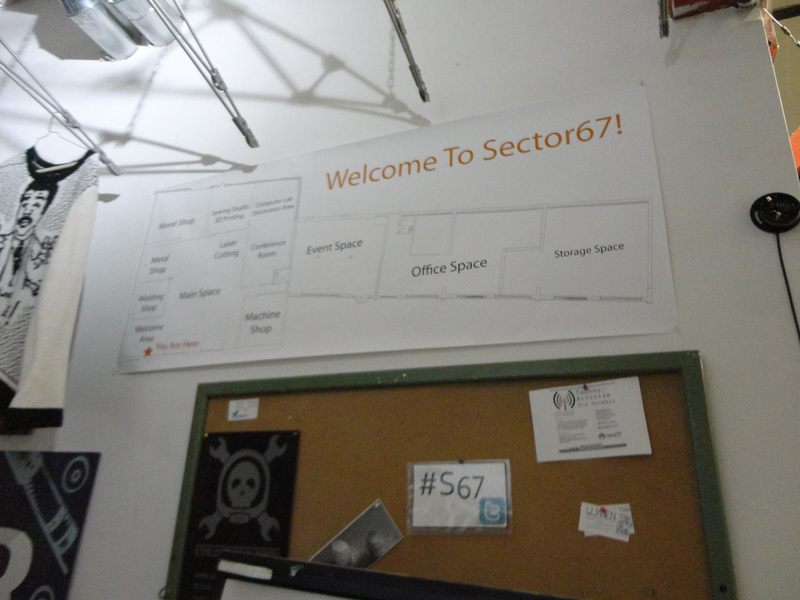 Sector67 has been growing at a rapid rate and will soon be looking to move into a new expanded space. Walking into the Sector67 space is a little overwhelming because you aren’t quite sure where to look first. Comments from the group ranged from “There’s a lot of junk — but it seems to be organized chaos” to the feeling that it was a very creative space that was responsive to users — flexible and opportunistic. Space for relaxing, exploring Lego sculptures and displaying past projects. 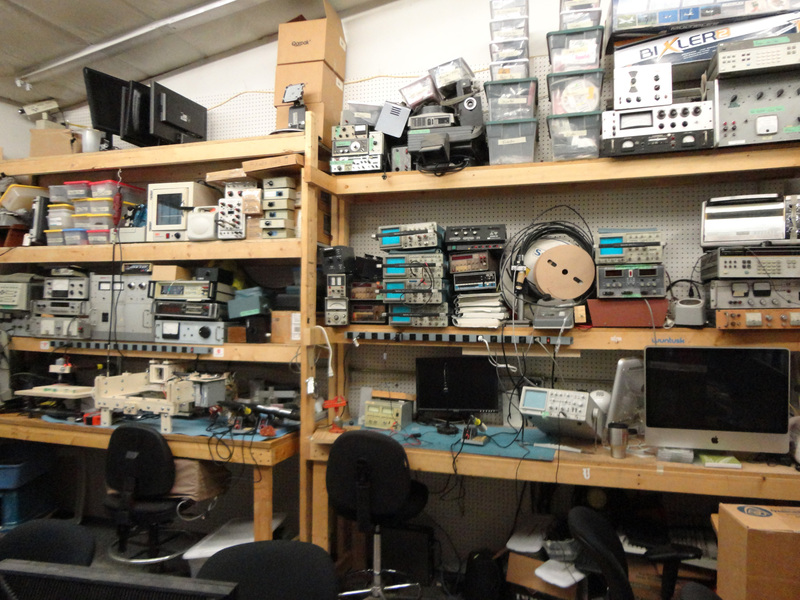 Electronics abound and can be repurposed as needed. Other observations were that it was a space that offered lots of options for training and had passionate and dedicated staff/volunteers. 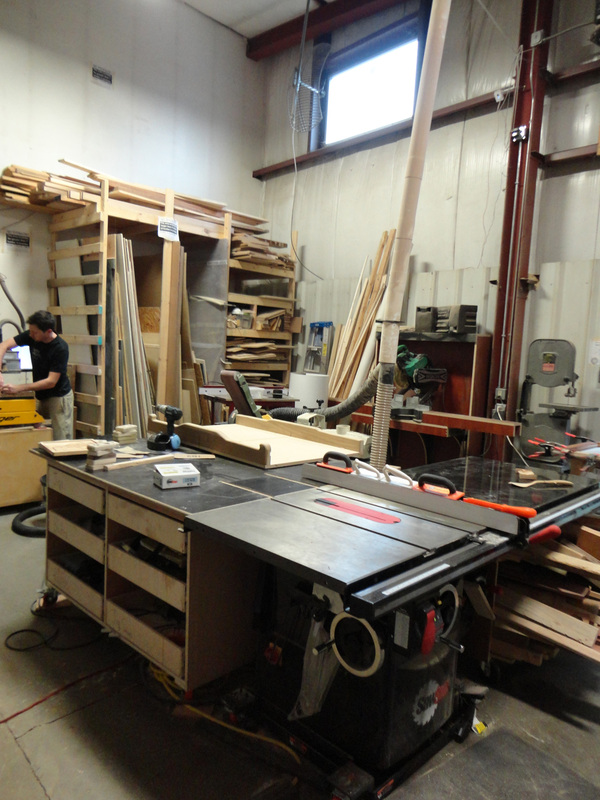 In addition, there was an incredibly wide variety of materials, equipment and spaces to meet different needs. 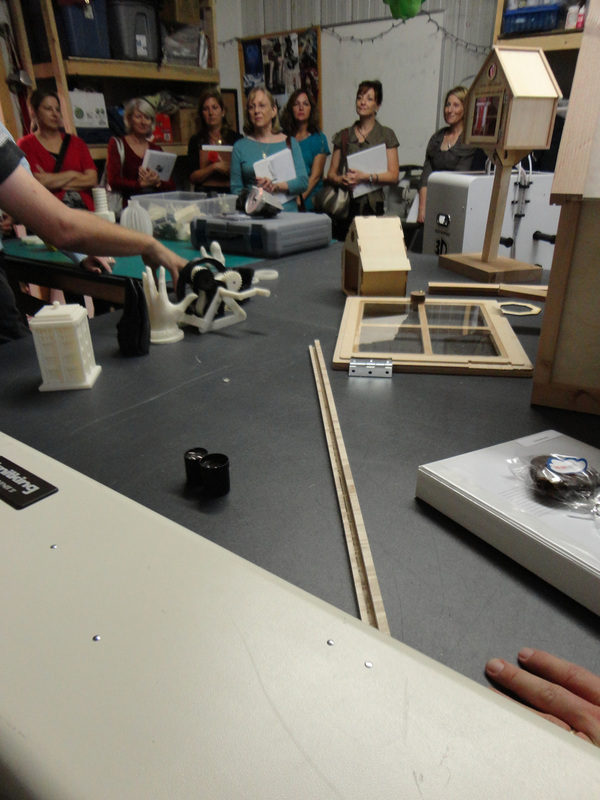 There was also an amazing amount of repurposing or recycling of materials occurring. 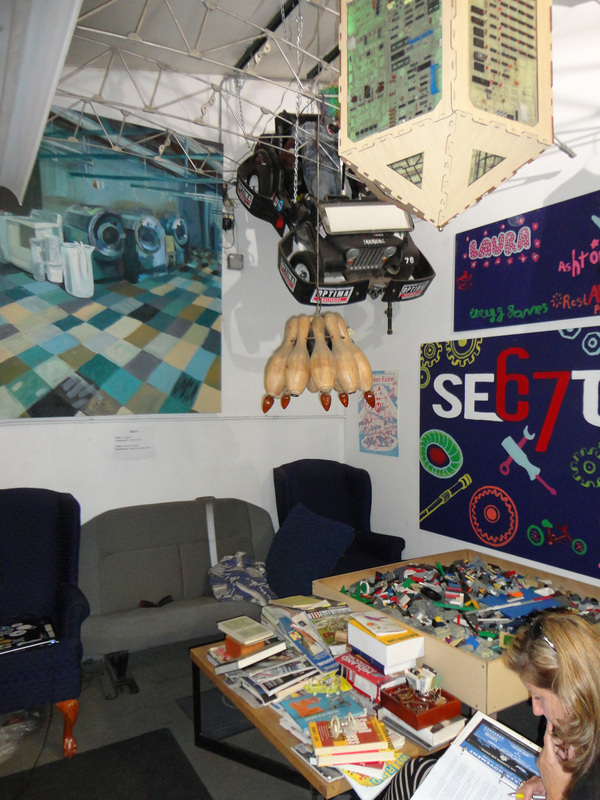 Some members of the What’s Next group really loved the chaos of the space and it made them feel like they had entered their dad’s workshop. It was also easy to see that this was a place that had many catalysts to spark creativity and the materials and tools to bring ideas to life. 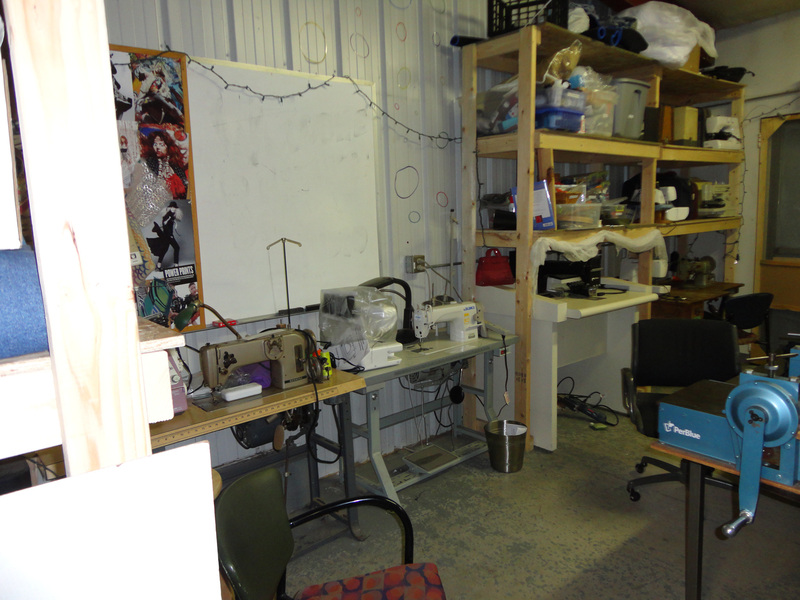 Sewing enjoys a resurgence with industrial and home equipment available. Overall, there was a realization that the library could in no way ever hope to duplicate what is going on in this hackerspace, but there is an immense amount of opportunity to collaborate and a desire to partner with organizations like this. Another important discovery was that just like the library, this organization really works hard to understand their members’ needs. 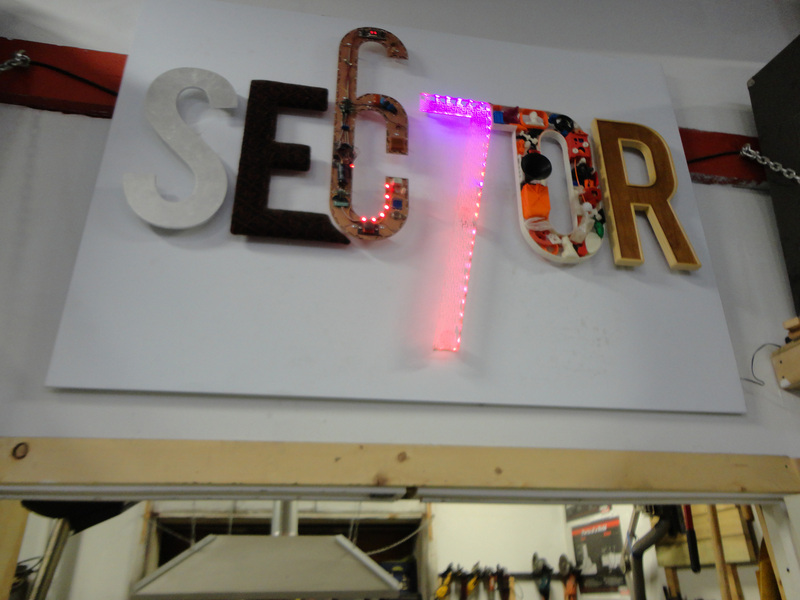 The Sector67 staff noted that they could not afford to invest in equipment and programs that didn’t meet user needs and their dedication to meeting community needs was impressive. Ideas ran the gamut as our librarians began to consider the implications of a space like this. New ideas around teaching and learning were top of mind. Many people learn better by making, not just reading so this was an environment that allowed for that. Ideas abounded for new classes and educating and exposing the community to new technologies. to more traditional wood forms. Questions arose around staffing, skills needed and accessibility to hardware and software. It also became obvious that spaces such as this hackerspace create amazing opportunities for collaboration and developing leadership and teaching skills. Allowing those with experience to share their knowledge with more novice participants can be very rewarding and greatly extend resources. More questions surfaced about what happens when you start blurring the lines around what the library is. The group mentioned that care needs to be taken to remain focused so that the library continues to have a clear identity and place in the community. One powerful thought was that libraries have the opportunity to offer a platform to create different types of engagement both within and outside of the library walls. Partnering with other organizations can provide a “win-win” proposition when it introduces people to new ideas that are all about learning and connecting people to resources. 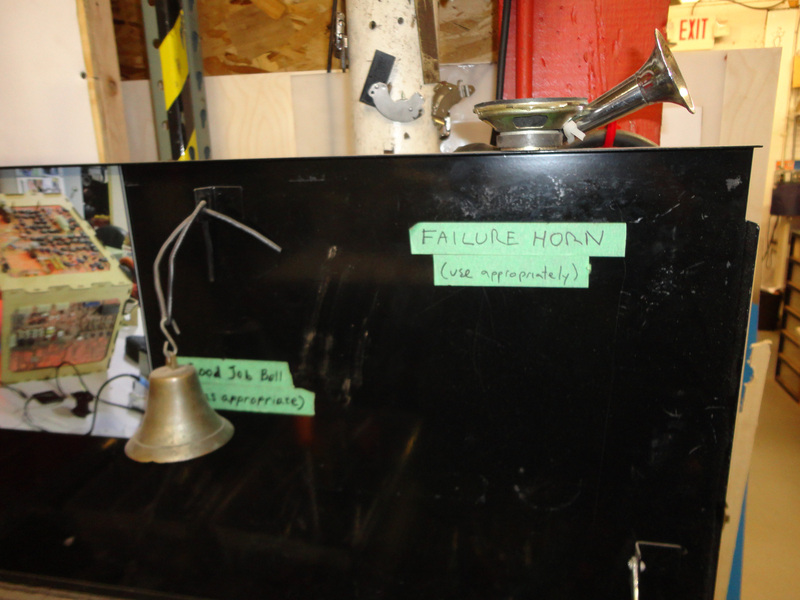 What do you think about hackerspace applications for the library? How do you see libraries achieving engagement? Share your comments. We’d love to hear what you think.